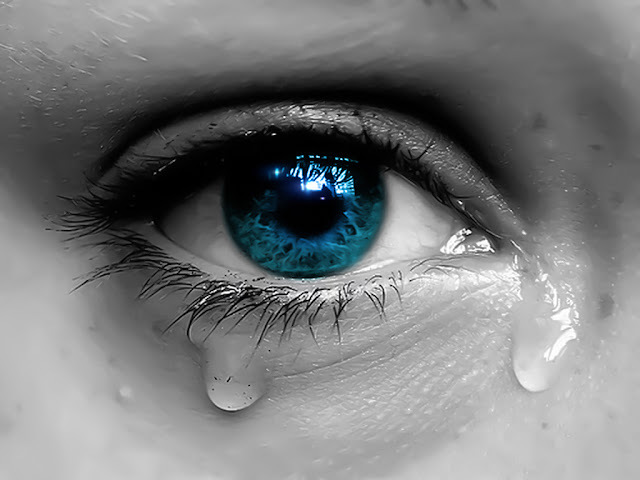 For decades, experts have delved deep into the science of crying - why we cry, and perhaps more importantly, the physiological result of shedding those tears. 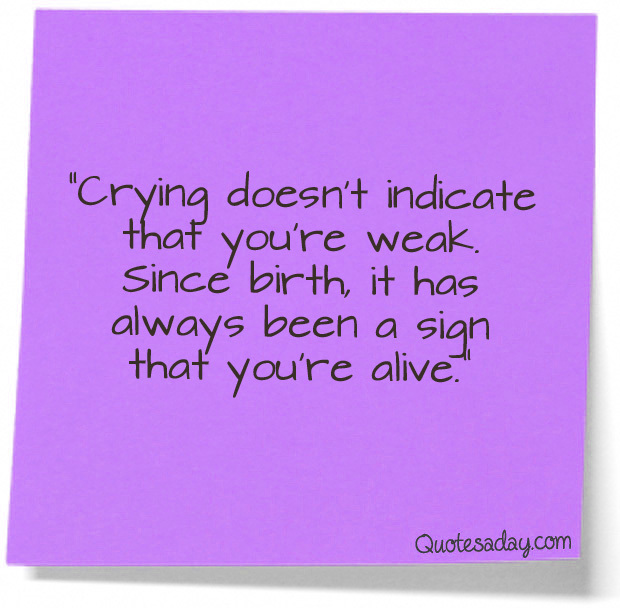 Studies show that crying is beneficial to the human body and mind. The chemical makeup of tears will vary depending on the cause of the tears: sadness, fear, pain, stress, happiness, or anger. In most of these instances, tears are the body's way of releasing unwanted toxins from the body, allowing the healing process to begin. Turns out there is an art of crying, that, when done correctly, will leave you feeling rejuvenated and stronger than ever. 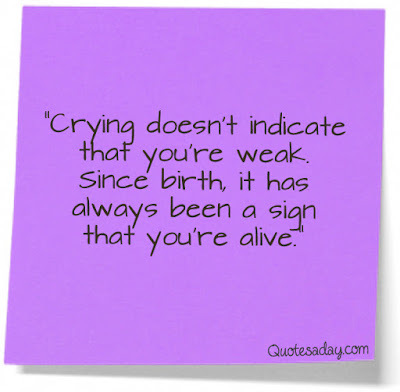 Yet, many of us still don't want to cry, preferring to hold in our emotions - often times to the point where we break under the pressure at the worst moment. Even children are told big boys and girls don't cry. But the truth is, we not only want to cry at certain points in our lives, we actually NEED to. A friend recently reminded me of all this as I cried to her on the phone after what was a very stressful few days. She asked me if I was really crying over traffic, or if that was the straw that broke the camel's back.....a back that has been carrying too much lately. She asked me if I had given myself permission to cry recently. As an emotional Italian who wears her heart on her sleeve (and born under the astrological sign of the very sensitive Cancer to boot), I never considered myself someone who held in tears and who needed to be reminded to allow herself to cry. In fact, I think I cry a lot. She quickly pointed out that I cry when it is too late, and my body and mind have been taken over by the negative chemicals produced by the body during emotional times. So what am I supposed to do? Make myself cry? Apparently, that is exactly what I am supposed to do. But how? 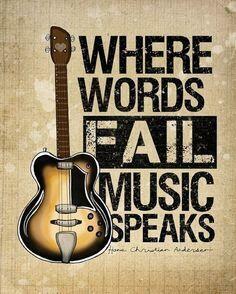 While many will turn on a sad movie, I have always been inspired and moved by music. (My sons know to leave me be when the music is blasting.) I often find my tears hidden in the lyrics of a song or a melancholy melody that makes my eyes water from the opening note. There are probably a hundred songs that evoke strong emotions in me, some for nostalgic reasons, others because of the painful lyrics that hit home. The song that gets me sobbing every time is "I Don't Want to Miss a Thing" which came on the night I stayed up holding my dying cat to my chest, afraid I would fall asleep and miss even one of his last minutes with me. Aerosmith, "I Don't Want to Miss a Thing"
As we saw Debra Barone in Everybody Loves Raymond do in the episode "Alone Time," putting on a sad song is a good place to start. Unbeknownst to Debra, Ray sees her and immediately jumps to terrible conclusions that she is unhappy with her life. Debra later explains to Ray that what he witnessed was her just simply needing some alone time to release the stress of daily life and recommends Ray give it a try. Since I wanted to end on a happier note, here is the clip of Ray's attempt at making himself cry because, if there is one thing we need to do even more than cry, is laugh. Everybody Loves Raymond, "Alone Time"
Thank you for reading and commenting, Aleks. Nice to hear from you.